This weekend was busy with Eric and I both working and was also really fun. This time of year our weekends are full of recruiting dinners and events with future players and their parents. 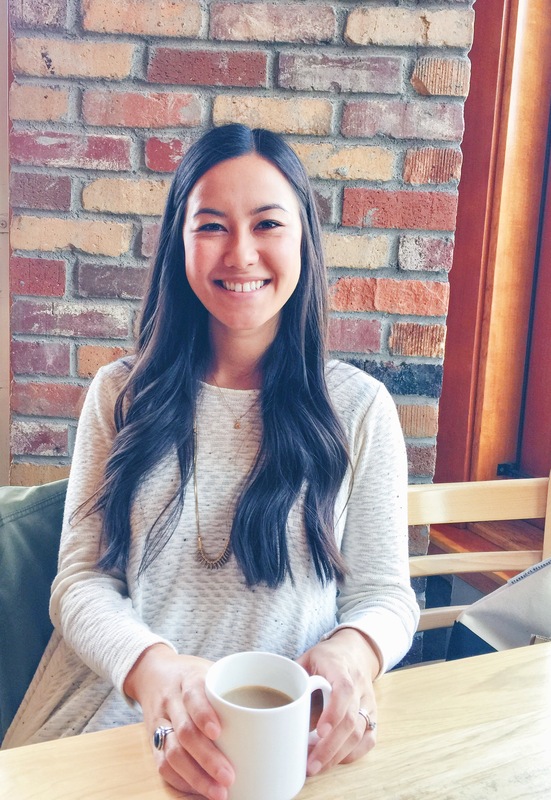 I get to tag along with him at the dinners and socials, which is a plus because I get to see him, catch up with the other coaches wives and meet new people who are in full support of the Vandals. Woo! On Sunday we were able to have over a new couple that joined the football staff and watch one of the NFL playoff games. This meant I got to cook up some of my favorite football watching snacks. I enjoy watching the games, but I most enjoy grazing over yummy food! 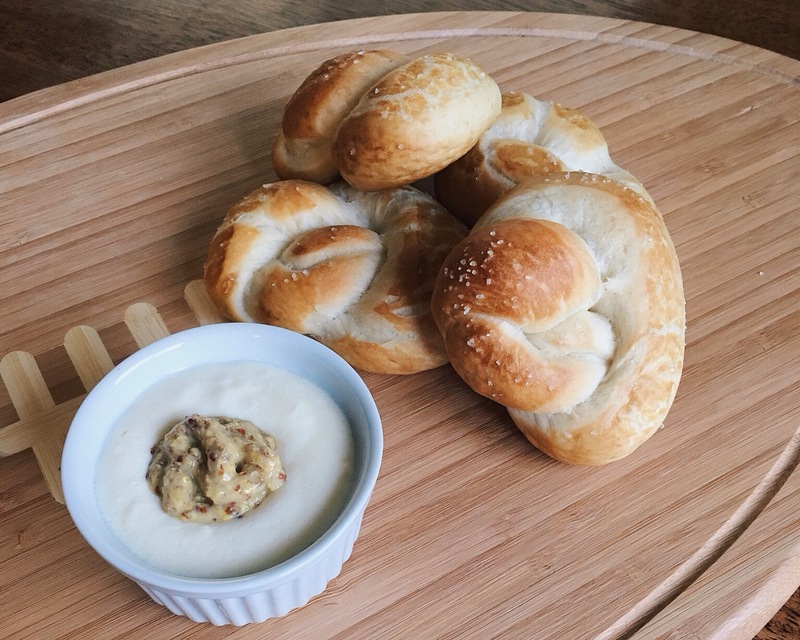 This appetizer recipe for Pretzel Knots and Cheese Dip are perfect for watching games and all-day grazing. 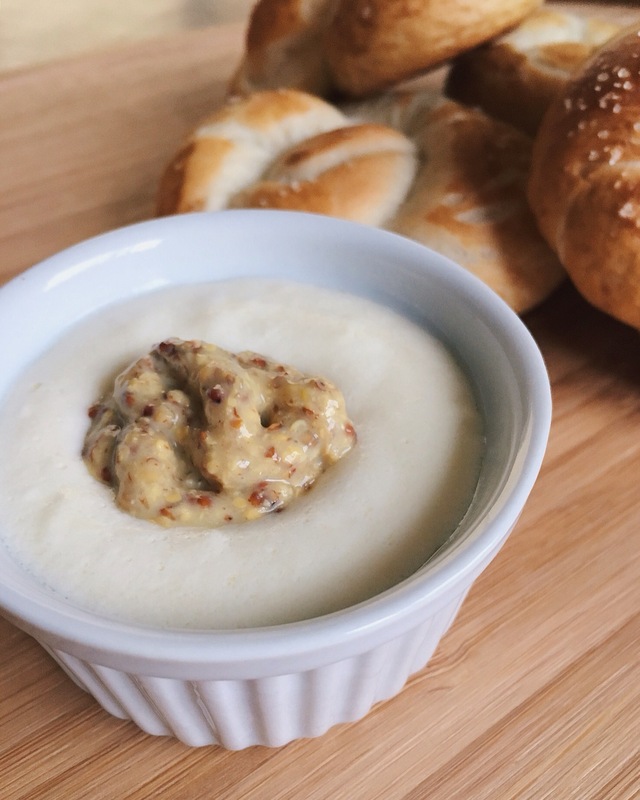 The pretzels are warm, soft and the perfect 3-bite size, and the dip is hot, creamy, and tangy from the Dijon and so good you’ll want to eat it with a spoon. 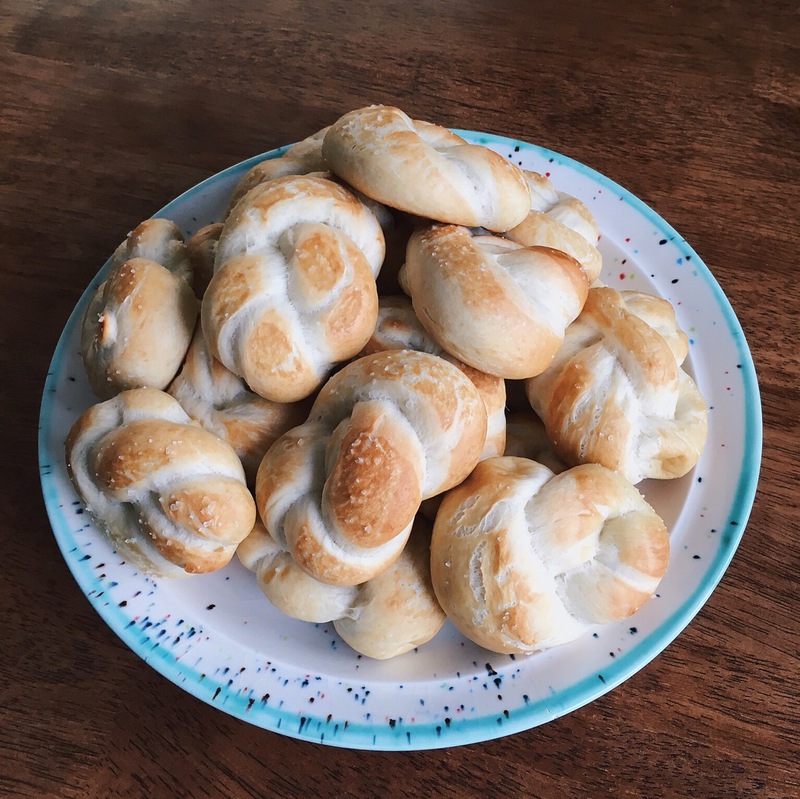 The pretzels are semi-homemade. 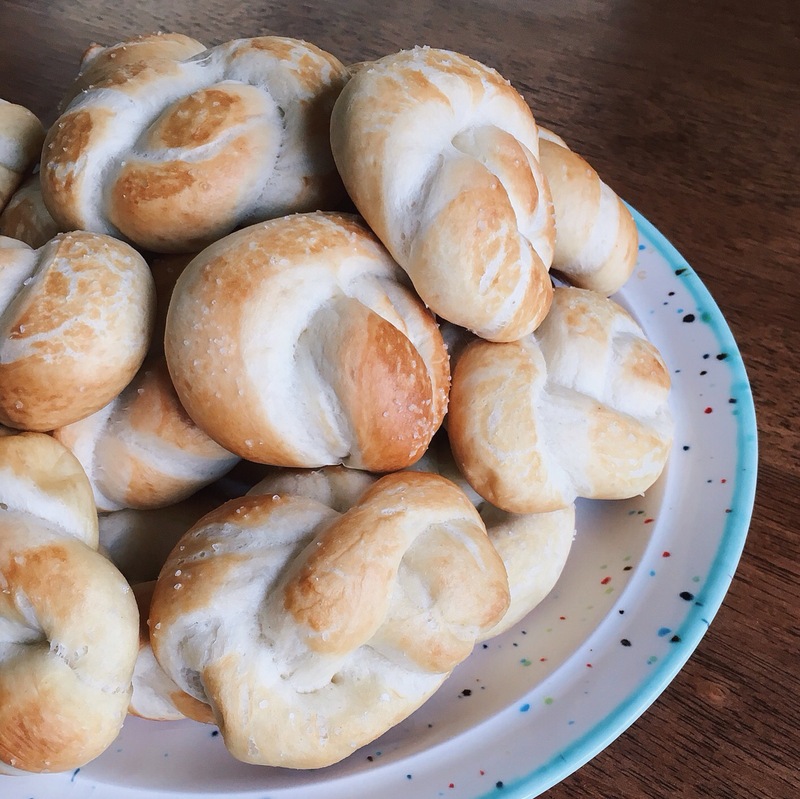 I use Rhodes frozen dinner rolls, found at any grocery store in the frozen section. 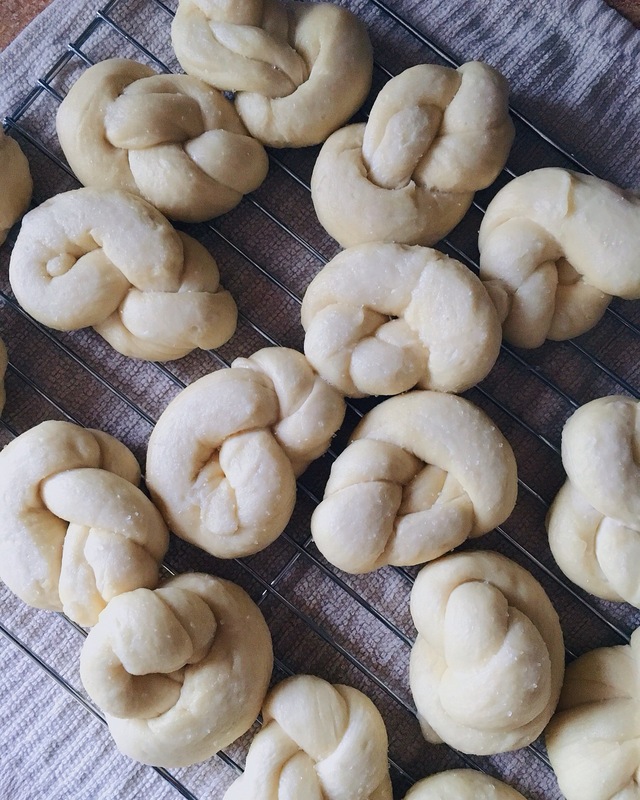 You’ll let them thaw, roll them out and twist into knots. 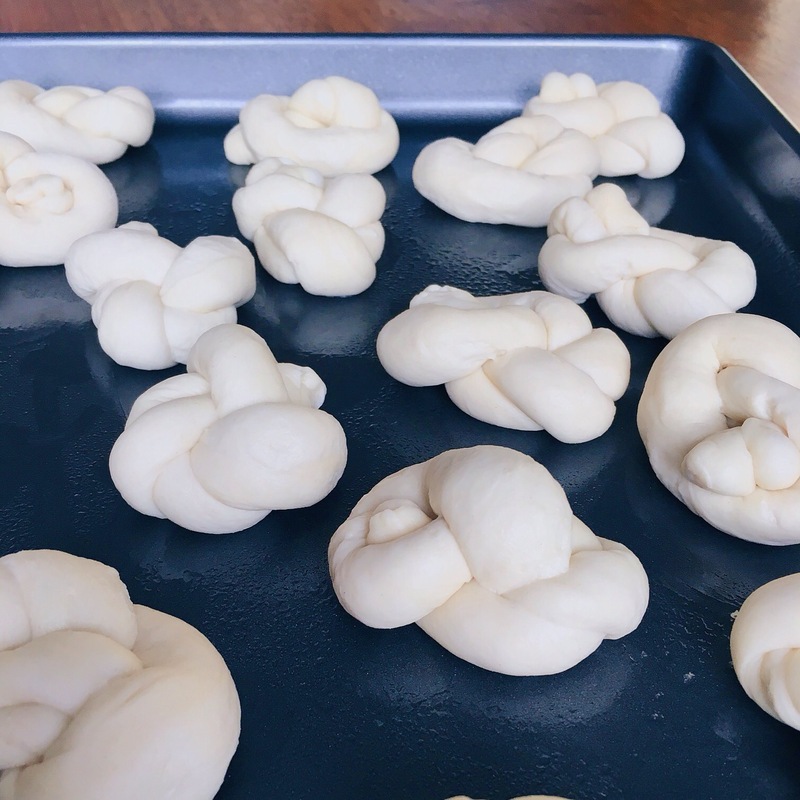 Twisted and ready to be cooked. Before they get baked they get a quick dunk in boiling water, then seasoned with coarse ground salt. Here they are baked, browned to golden perfection, warm, crisp on the outside, fluffy on the inside and ready for dipping. Ingredients for the dip, get all mixed together and popped into the oven until bubbling. 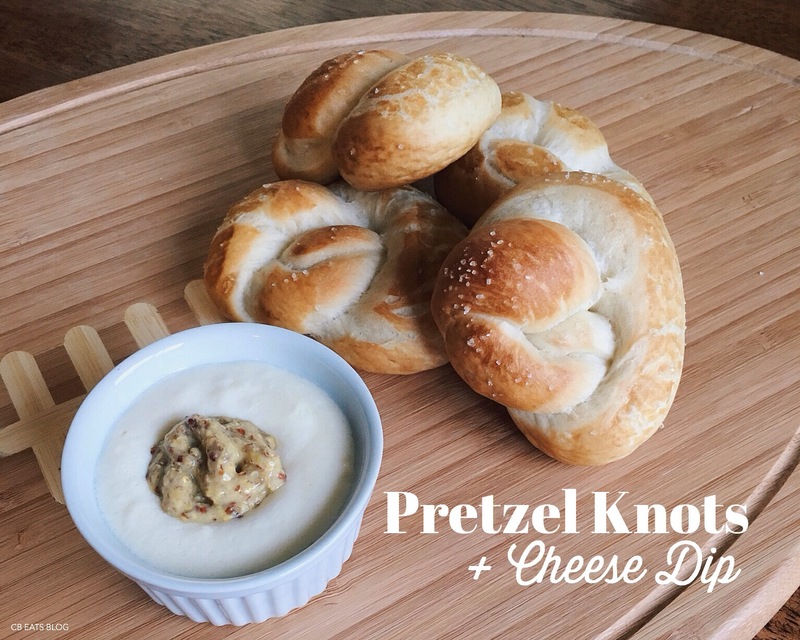 These Pretzel Knots and Cheese Dip are the perfect compliment to each other. 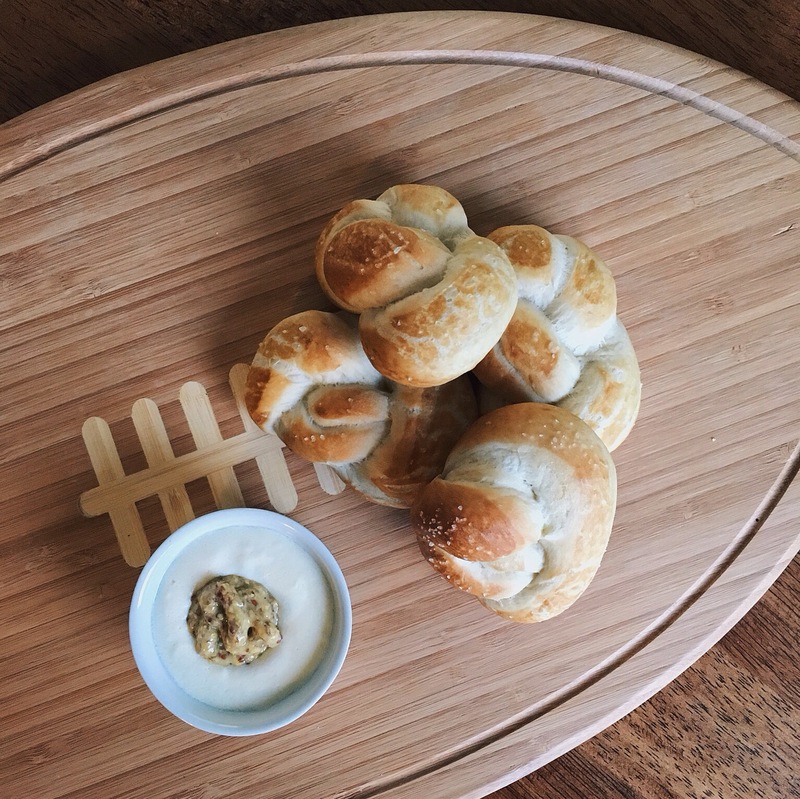 Your taste-buds or your guest’s taste-buds will be so happy if you make these for any get together or game watching party. 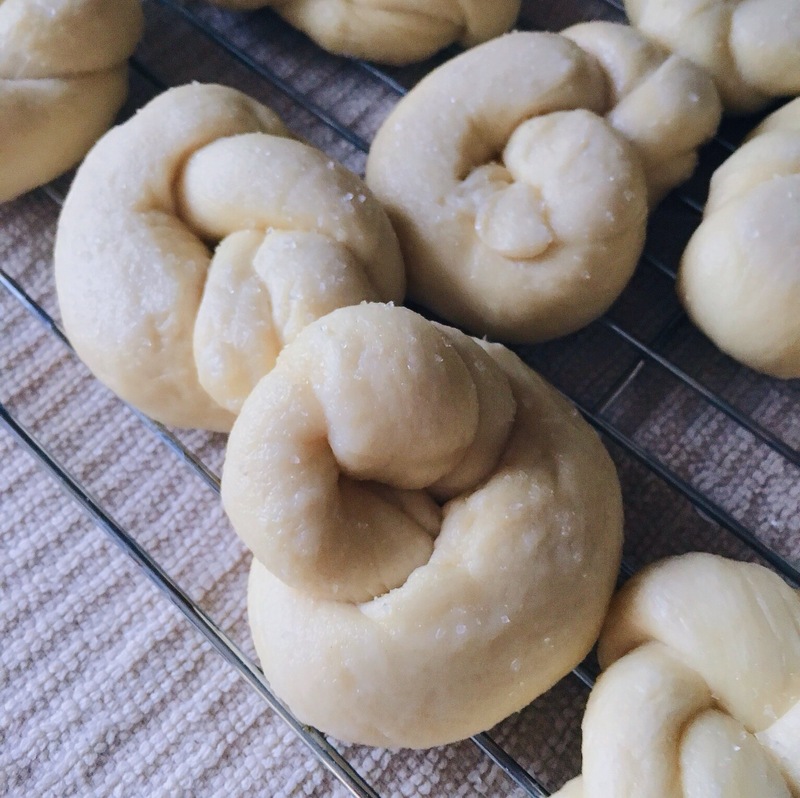 Place rolls on a greased baking sheet covered in plastic wrap or with a clean dry towel. Let defrost for about 1 and ½ hours, until they are thawed but still cold. 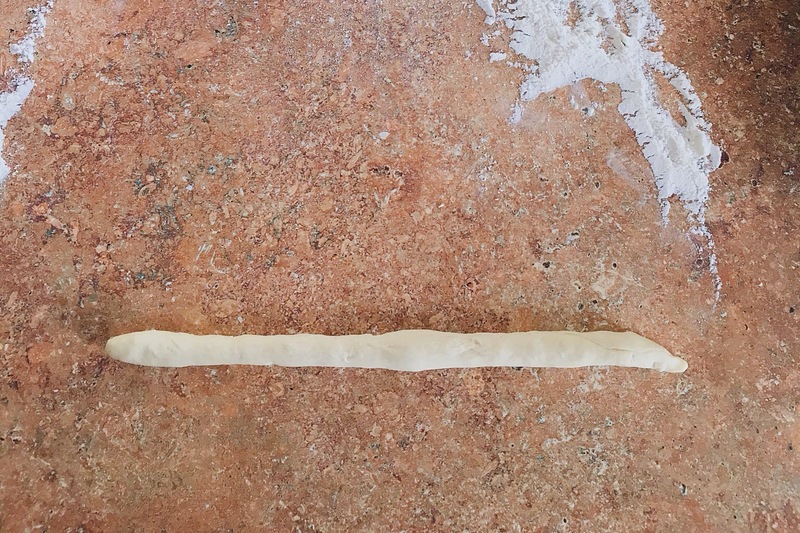 At this point preheat oven to 375º F.
On a clean flat surface, roll out each roll with hands into about a 12 inch rope, fold in half pinching the loose ends together, and twist the looped end twice then pull the pinched end through the looped end creating a knot, pinch to seal. 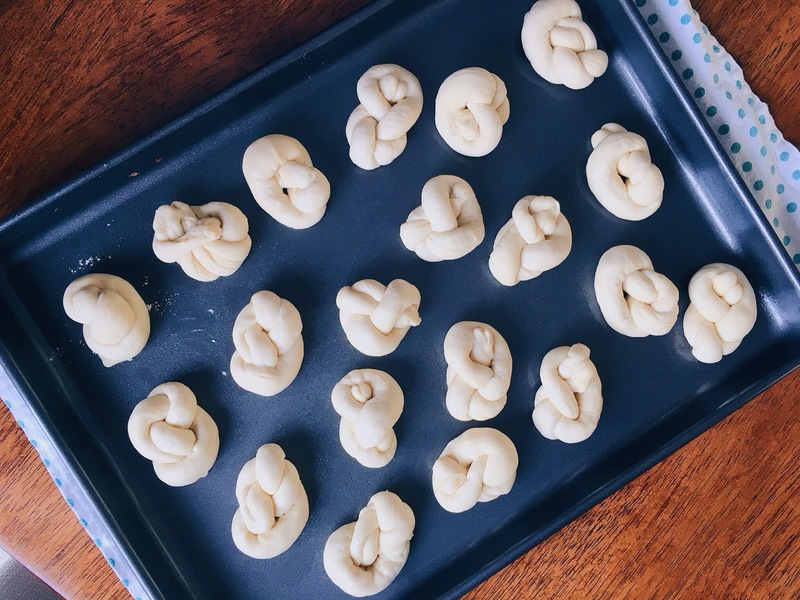 Place the knots back onto the baking sheet, cover and let rise for another 30 minutes. 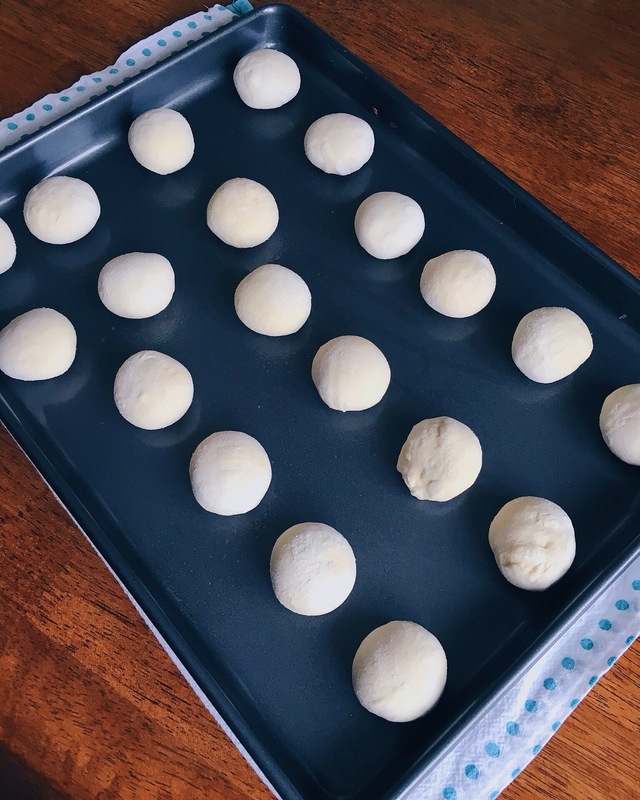 Once the rolls are risen, fill a medium size sauté pan with a few inches of water and stir in baking soda. 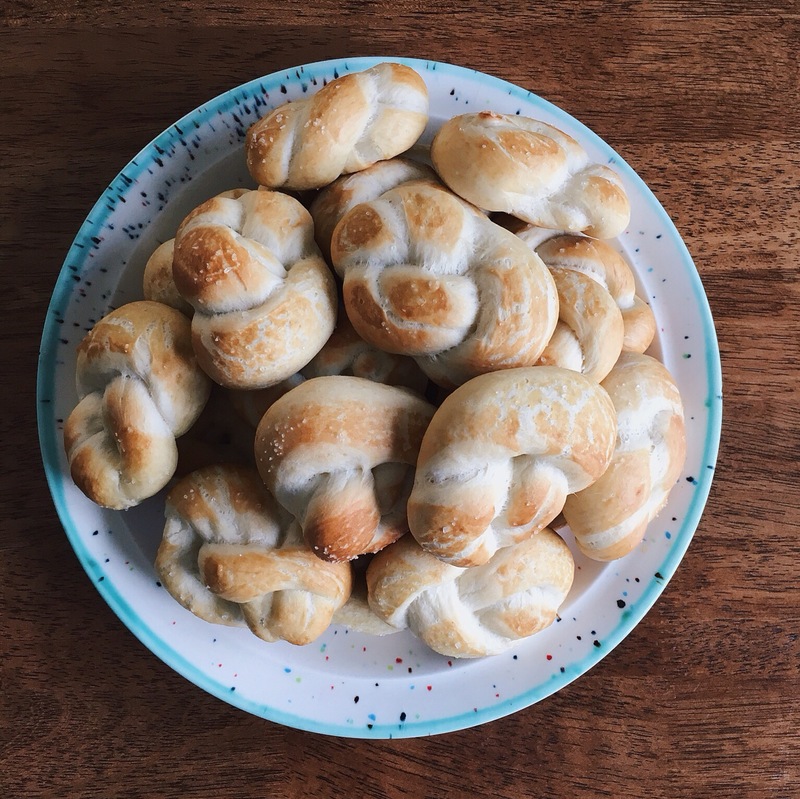 Bring water to a boil, and place each pretzel knot in the water for about 30 seconds on each side. Remove with a slotted spoon, and place on a cooling rack. Do this until all of the pretzels are boiled, sprinkle each with salt and place back onto the greased baking sheet. Bake immediately at 375º F for 15-20 minutes or until golden brown. 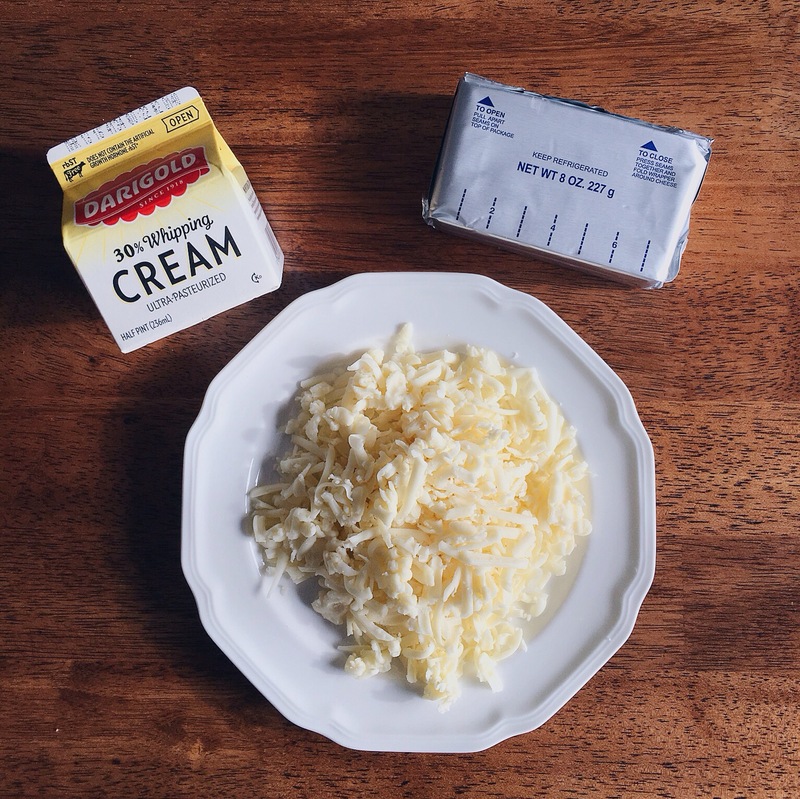 In a medium size bowl thoroughly combine cream cheese, shredded cheese, cream and salt. Pour into an 8×8 greased baking dish. Bake uncovered for 15-20 minutes or until bubbling. Serve in baking dish or in individual ramekins with desired amount of stone ground dijon mustard on top. *Feel free to double or triple this dip for the amount of people, it goes further than you think.